Maybe the headline should have been just Food and Shelter in Chiang Mai, but let me keep it that way as there will be more content to come. My experience in health or medical travels in Thailand is limited to Chiang Mai and short stay in Bangkok and passing by Khon Kaen. I have been to other destinations too but those were not related to health issues. As Pao Come which was known by that name since the mid 80’s, will be lost as a result of globalist interests, another place along the same street called Eagle House guest house and restaurant still remains locally owned and run by the same Irish lady who originally opened it with her Thai husband over 30 years ago. 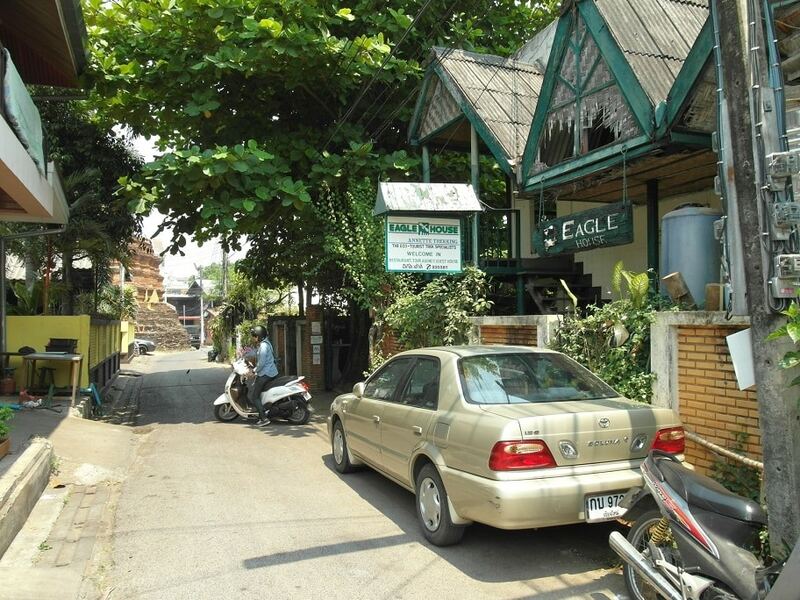 Eagle House is about 50 meters away from Pao Come. It’s considerable place to stay as well, but their rooms are not that idyllic as Pao Come’s used to be. Despite relative dullness in room design there is wider variety in prices and sizes. Also proper table, that was missing from Pao Come’s rooms, might be arranged more easily in need of doing stuff on your computer. The garden is lovely however and it’s possible to sit there too with a laptop as I saw many people doing. But for lovers of style and aesthetics Pao Come has it’s advantage, or used to have. Will see how the new arrangement will affect it’s character. Both places are in manageable walking distance from Mungkala, or you can easily take a tuktuk or rent a bike. 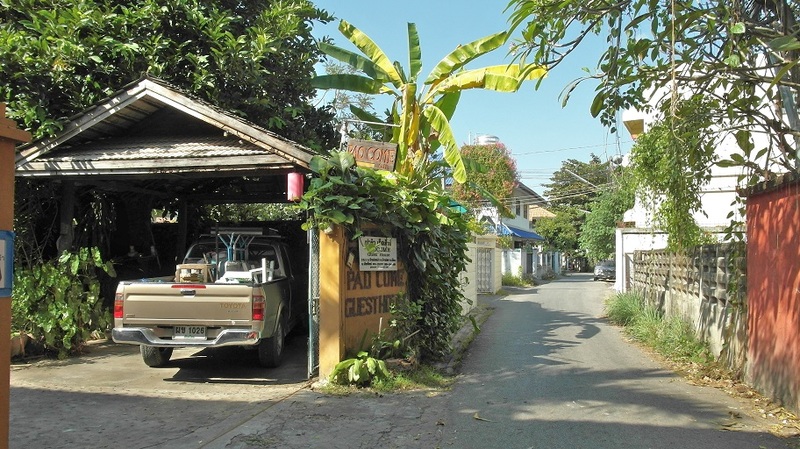 And Patsa clinic is much closer, just next to Sompet market, two minutes walk. But for TTCM, you need to take Songthaew(or bike), that takes you from Sompet market to Saen Pung Gate where you can walk the rest 200 meters to the clinic. Dr.Wang‘s pharmacy is in walking distance too. Green curry with Thai eggplants at Eagle House restaurant. Basic meal that can be ordered without rice too. It can become paleo dish with some chicken and eggs. Another great spot for eating is just another 50 meters further the same way and you’ll find Cat House restaurant. 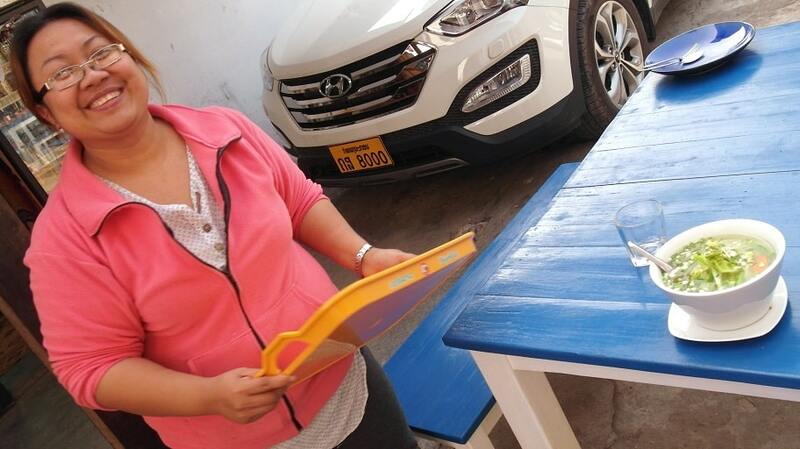 It is run by a charismatic Thai lady, Jacky. It was given Tripadvisor’s Certificate of Excellence in 2014 and 2015, but has got also few negative reviews, mostly due to issues with some of the staff. She might be able to prepare special low-carb or semi-paleo dishes for those with gut and chronic conditions. For that you may need to negotiate with her and the pricing. If you are in the mood of taking affordable vegetarian buffet, “eat as much as you like” kind of meal, then Gap’s house would be the convenient choice. Also along the Moon Muang road there are some street food restaurants around Sompet market. 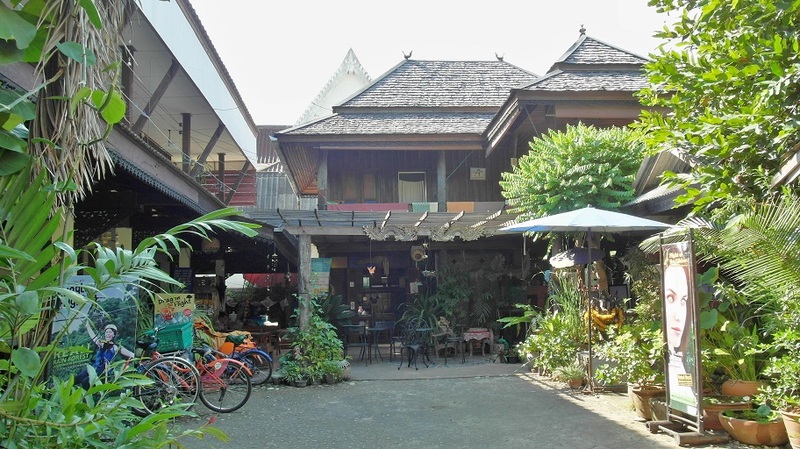 The intersection area around Moon Muang road lane 6 and Ratvithi 2 alley has some backpacker-hippie vibe to it and there are several restaurants and guest houses to choose from if wanting to stay inside the moat. This may go without saying, but the most easy way to lower the carbs if necessary or make the meal more into paleo style is to order only the main dish or two of them, some chicken, fish and veggies without rice and make sure the main plate does not include starches like potatoes either or sweet and sour sauce that contains processed ingredients and sugar. Maybe add an egg as well. 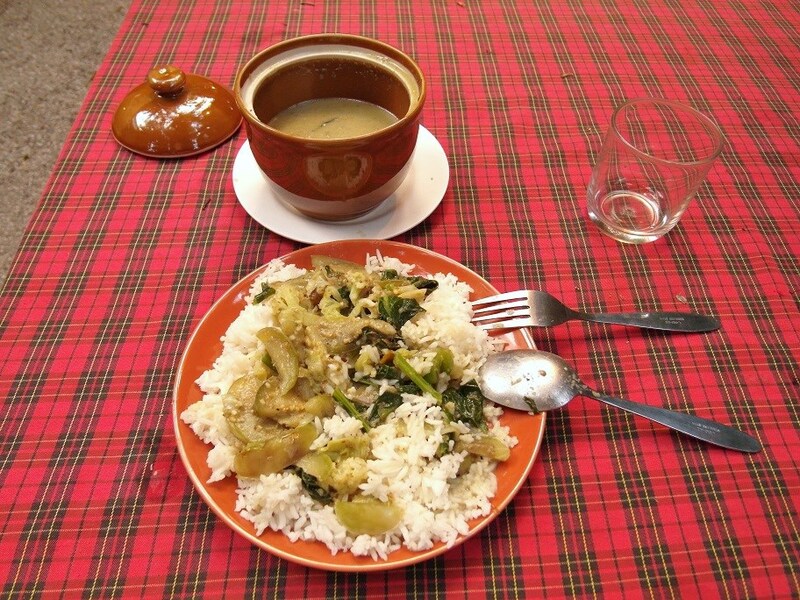 Or you can consider leaving your daily rice portion to evening to ease the night sleep. Eating rice in addition with some good fats like coconut oil before bed may help to get good sleep as it provides the necessary glycogen to our brain over night. 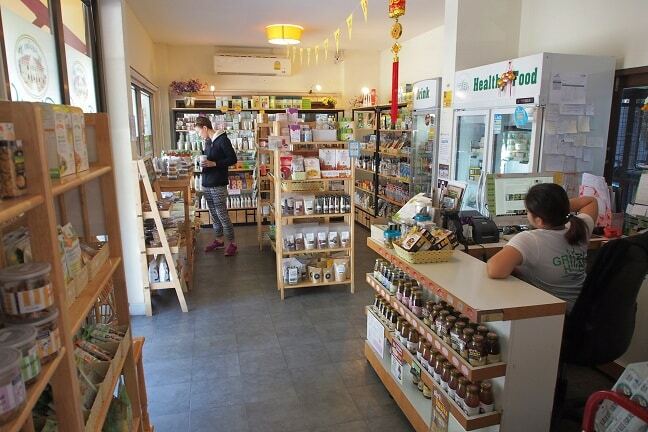 Organic products and health food stuff can be found for instance at Blue Diamond breakfast club. 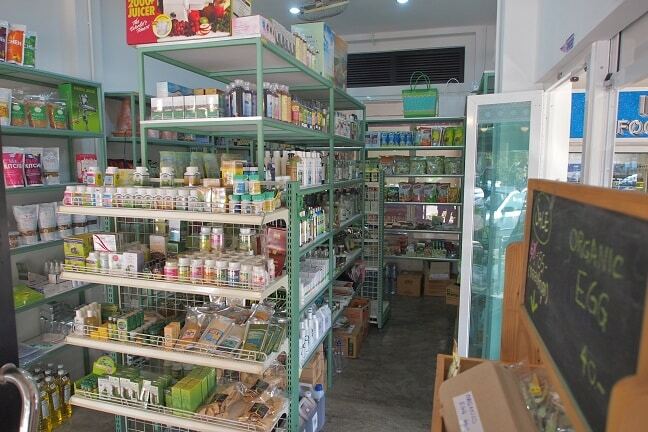 They now have another shop selling natural products closer to Sompet market. But some of the shampoo’s they advertise as organic are far from it. And looks like they just buy bulk stuff and repackage it and label it “organic”. Food should be of good quality though. I don’t know whether that shampoo was their own or they just resell it. That is the closest shop to the most touristic area inside the old city. 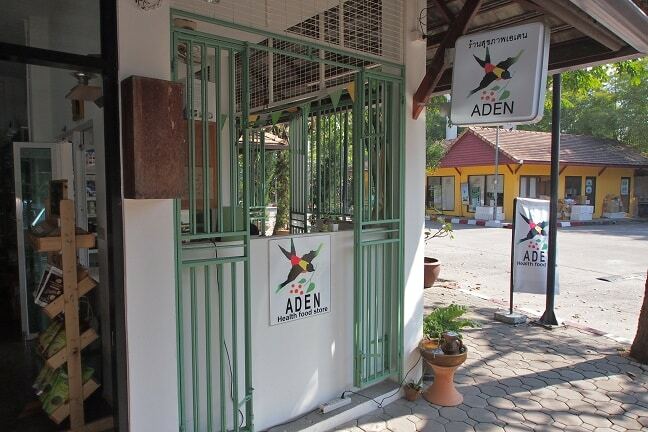 Probably the most comprehensive shop for health food and other organic stuff is Aden Health Food Store. Or at least they used to have vast selection of products, but now they have gone smaller. They used to be at Nimmanhaemin road before, but have now since September 2016 moved to new location at Jiang Jai market area north-east from the moat and it’s actually pretty small corner if compared to the former premises. Jiang Jai was first made famous for open air organic food market where local farmers come to sell their produce every weekend in Lanna style settings. 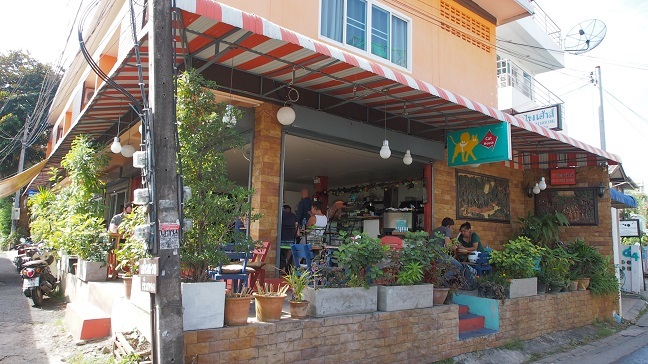 It has resulted the area’s current development boom seeking to become a new hub for health driven stores, coffee shops and franchises, spanning both sides of the Asadathorn Road. 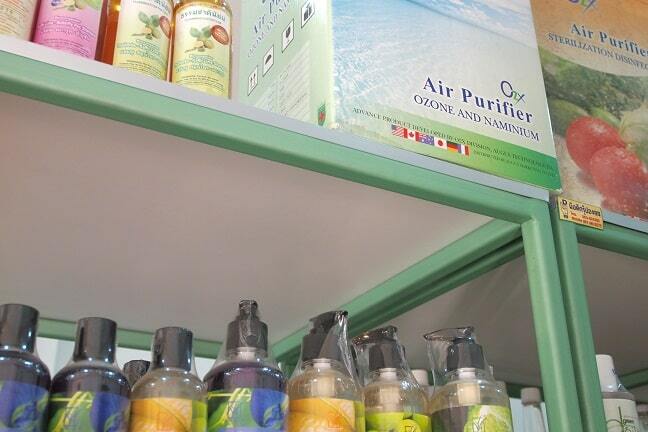 Aden Health Food Store even sell small ozonators there to be used for air purification or making ozonated drinking water. Their address is Jing Jai Market(Zone A.) Asadathorn Rd, Patan, Chiang Mai 50300. 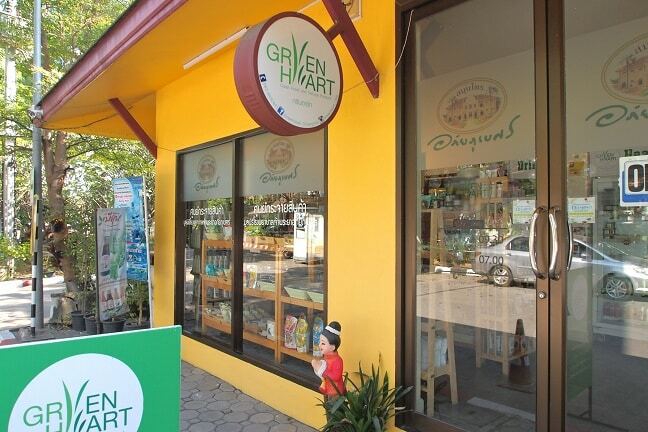 Just next to it is the second branch of Green Heart health food store that has another branch still in Nimmanhaemin area. But they don’t have enema bags or ozonators, but instead represent quality Thai brand Abhibhubejhr herbal products. And where to buy the supplements for more fitness oriented use in Chiang Mai? The best I know is Sandy health shop that has two branches, the main one is so called Star Avenue 2 near Arcade bus stations and another one, at Chiang Mai Gate southern end of the old city. As I wrote in My Journey chapter, one of the best ways keeping yourself in social circles and attached to life besides worrying about health issues is to go and do some dance mandala, pilates, qi-gong or other similar activity at one of the Yoga centers around town such as Yoga Tree. Closest place to do Yoga and have a taste of Chinese tea is Sati the art of Tea and Yoga, that is located just next door of Pao Come guest house. 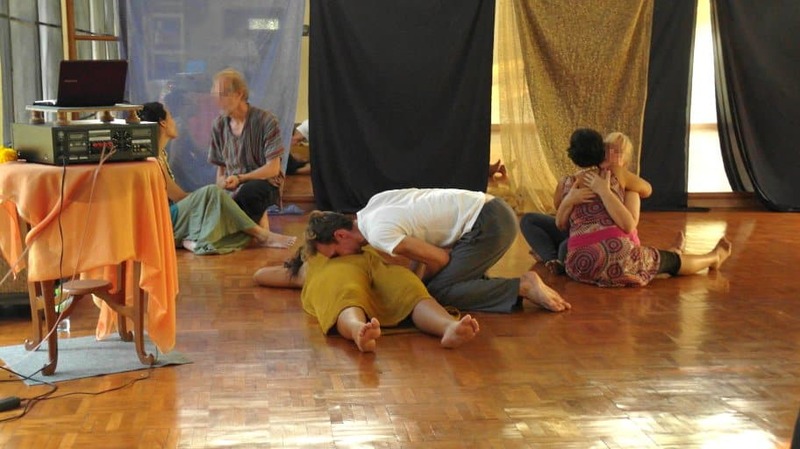 Yoga Tree – one of the many free forms of contact improvisations. Khon Kaen has few budget places to sleep over night if the half day stop over visit at Dr. Premgamone does not work out or if you want to take longer therapies at his place. Saen Samran, Roma Hotel and Khon Kaen Hotel are the most affordable and closest to Dr.Premgamones clinic. Only about one block away. The first two have rooms for ca. 230-500bht respectively, at least if you bargain, while Khon Kaen Hotel is from the costlier end with ca. 850-1500 price range, but it has been recently renovated, while the two others are true rock-bottom places. 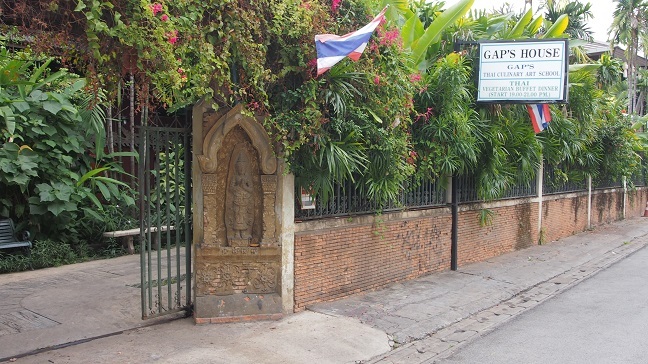 Bangkok is difficult to narrow down in terms of accommodation because of so huge selection and variety, but for visiting either one of the most famous allopathic hospitals, Bumrungrad or Bangkok Hospital or the more holistic anti-aging and detox oriented Panacee Medical Center, then Sukhumvit would be the area to stay. Khao San road is too far. Sukhumvit is more challenging in finding budget accommodation, but one that I found decent was California Hotel. 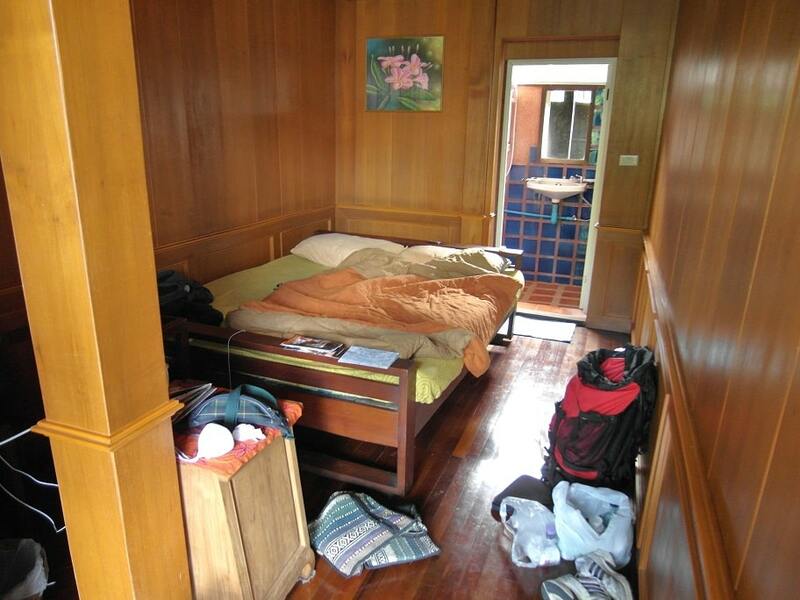 When I was there they charged 600 BHT for a single room, but I think now the price has gone up to 700-800BHT per night. It is located walking distance from Panacee Medical Center, and the pick up points of Bangkok hospitals free shuttle bus. And from those areas taxi is affordable and fast too, but remember to cross the street and take a taxi from the other side that leads to center direction, otherwise you may end up taking unnecessary 15 minutes tour around the blocks just to get over to the right side of the street. Monkey Nap Hostel near by that has dorm beds for 450 BHT and privates from 1200 BHT is new establishment. Didn’t try it myself but so far it has got good reviews. 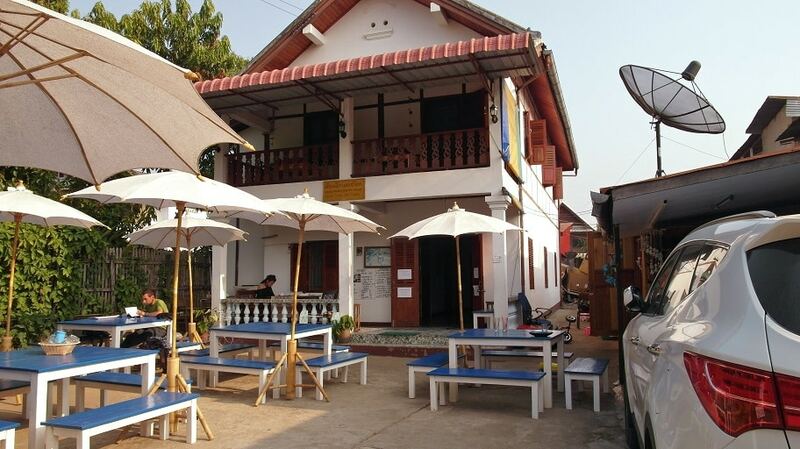 And MHC guest house starts from 800 BHT with private rooms and has most positive reviews around the area. There is at least one affordable local style restaurant short walking distance from all of those. And I found even one Korean one. Amarin Health Society on 3rd floor at Amarin Plaza shopping mall. Like an oasis in the middle of concrete jungle. 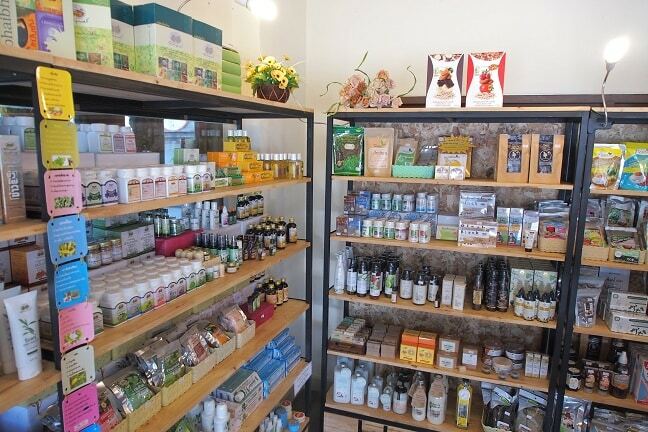 For organic food and other health and supplement stuff, there are few places in Sukhumvit, such as Sustaina Shop and Organic Restaurant, Sunshine Market and Radiance Whole Foods. Sustaina is closest to Phrom Phong station at the beginning of Sukhumvit Soi 39. That is still walking distance from California Hotel. For the two others you may want to take taxi. If you happen to be closer to the most hectic part of the city center, there is one place at Amarin Plaza, called Amarin Health Society on the 3rd floor. It is next to Chit Lom BTS station along the Sukhumvit line. 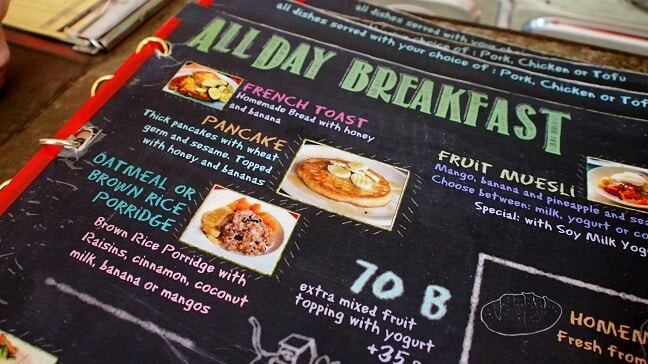 This blog has more information on Bangkok’s health food scene and farms. In Vientiane, Laos, the tourist hub is at the river side around the parallel streets south of Setthathilath Road, such as Francois Ngin Road. 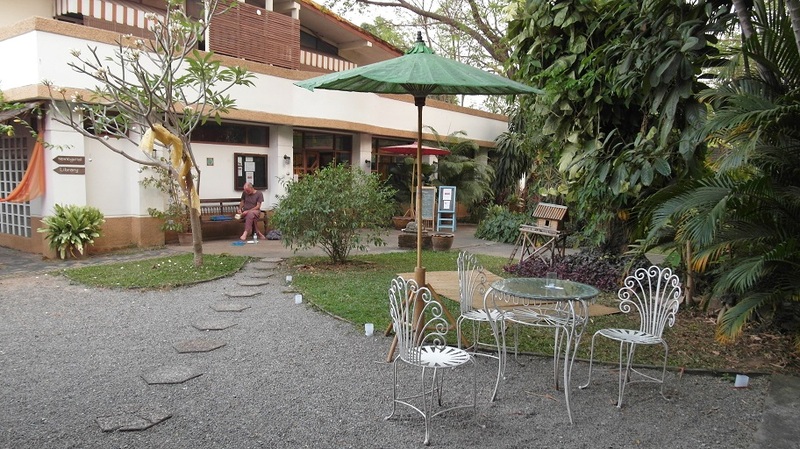 Vientiane does not offer so much budget accommodation than for instance in Chiang Mai, but probably the lowest price and bearable quality can be found at Youth Inn 2 at the river end of Francois Ngin Road where you can find private room for 80 000 KIP. I stayed at Youth inn “1” at the other end of the road, but the rooms were moldy and smelling, so I can not really recommend it, unless money is only thing that matters. I have seen better reviews from the second one and also Mixay guest house along the Nokeokoummane Road is decent. They have dorms for about 40 000 KIP. But private rooms do not have attached bathroom. However, it’s better in other ways than Youth inn “1”. Most places have bicycles for rent that you can use to go to Mahosot hospital or Dr.Khamkongs place. Her private clinic is near Kong view Restaurant. For those passing by Luang Prabang and taking some acupuncture at Peninsula Sauna & Massage Centre with Mrs Somchit the more affordable area to stay is around Ban Visoun, south of the old historical center. Mao Pha Shok guest house that mostly get their visitors by dragging them from the slow boat pier, is run by criminal family. I stayed there first few nights, but I witnessed subpar behavior from the staff and the family itself is indifferent and obviously involved in occasional scamming as they were not any more helpful in resolving issues. 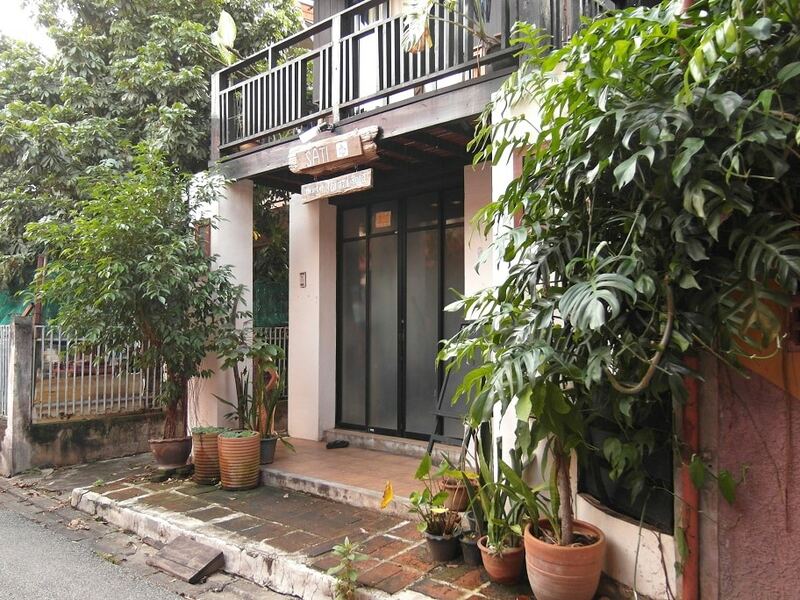 So I recommend Phonthida guest house next door closer to street. When I was there, Mimi, a daughter of well reputed family was substituting the other family member who usually runs the place. Mimi’s father is former Lao air pilot and famous poet in Laos and her brother has successful IT company. Mimi has spent some time in Europe and is therefore familiar in serving western customers. She even prepared special Christmas dish for me as a gift. I was stuck there for one and half month as I found out there that I had ascaris worm infection. Mimi was helpful in cooking special food for me and I lived several weeks mostly on vegetable soup and omelets, accompanied by papaya and pumpkin seeds and garlic drinks.